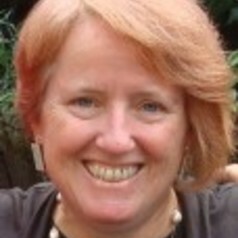 Liz Todd is Professor of Educational Inclusion at Newcastle University. She engages in research with a strong social justice agenda and looks at all kinds of social and educational inequalities. Her 2007 monograph published by Routledge, 'Partnerships for inclusive education: A critical approach to collaborative working', was nominated for the 2007 NASEN/TES academic book prize. This book looks at what gets in the way of some of the key areas of collaboration that schools and services try to develop: multi-agency working; parent partnership; and the involvement of children and young people. In recent years Prof Todd has brought just under £1M in research funding into the School of Education, Communication and Language Science. For the last 10 years she has directed 6 funded projects looking at community orientated and extended schooling. She is co-author of two other monographs that were published in 2011. Both are the first books on their topics to be published in the UK. One, with Alan Dyson and Colleen Cummings, published by Routledge called 'Beyond the School Gates', is on the role of schools in tackling disadvantage. It is a Prize winner, highly commended, by the Society of Education Studies in 2012. The other, with Hilary Kennedy and Mim Landor, is the first UK book on Video Interaction Guidance. Prof Todd is, with Melanie Nind, co-editor of the International Journal of Research and Method in Education, one of the only journals that focuses on innovation in the full range of educational research methods. Liz Todd actively maintains her educational psychologist's skills, by training people in and using directly democratic approaches that can be used to bring change to people's lives. Narrative therapy re-stories identity, and video interaction guidance uses the collaborative review of video clips of successful interaction to bring change in the connection between people. She uses these approaches with individuals, families, and professionals working in (mostly) school settings. Liz delivers courses on each of these approaches every year. Liz Todd is regularly asked to contribute to national and international conferences. She has been asked to contribute expertise to the governing authorities in Amsterdam on the development of extended schools, to the schools and colleges in Catalonia on theory of change in the evaluation of educational interventions, and on child involvement in research to the Master Class in Children's Rights at University Institute Kurt Bosch, Sion. Prof Todd is the leader of the research cluster on inclusion in the School of Education, Communication and Language Sciences. She is also deputy research director in the School, with particular responsibility to co-ordinate education staff for the research assessment framework (REF). Liz Todd joined Newcastle University 1994, having worked abroad in Fiji for 3 years lecturing in critical educational psychology at the University of the South Pacific, training teachers from 13 different pacific island countries, and delivering in-country workshops. She has worked in the roles of market trader, researcher, maths teacher, parent advocate, lecturer, therapist and educational psychologist. Prof Todd has always been drawn to community practices that help people to act in ways that are in line with their values and with ideas of justice. She likes to find out, research and be part of such practices. In her own professional training one of her placements was in Edinburgh with Jimmy Boyle, the Glaswegian gang member who had served a sentence for murder and who had, on release, set up a community project, run by the community, to help people coming out of prison, and those dealing with issues of drug dependency and mental health problems. She was particularly interested in the facilitation of non-professional solutions to the problems of those attending the project.